SEO (Search Engine Optimization) is something that shouldn’t be ignored if you want to get great amount of search engine traffic. It includes a set of strategies that are implemented both onsite and off site in order to improve website’s visibility in search engines. When it comes to Onsite SEO (Popularly known as On-page SEO), URL optimization is one of the biggest factors which should not be missed. Let’s get to know what actually the URL is? URL which stands for Uniform Resource Locator, is an address to locate a resource available on the internet. It is in the form of human readable text that replaces IP addresses that computer systems use to communicate with server. I mean actually the website’s actual links are in the form of numbers something like 192.68.52.1 and these are mapped to some text based URL to make it readable. P.S. Recently https has been implemented which is more secure than http. Domain: It is the most important part of URL. It is actually the name of a website such as techtricksworld.com is the domain name for this blog. Now you are having a better insight about what actually the URL is and what are the elements of it. Now when it comes to optimization of URLs, you cannot change anything in the primary stuff http://www and it will always be same so the optimization can only be done for the elements come after these. You can use any kind of URLs either with www or without www but make sure that your blog should always open on one address. There are many website owners missed to fix this issue and due to this when you type www.exaple.com then site will open with www and if you type only example.com then it will open without www. This is called as canonical issue and Google consider both www.example.com and example.com as separate site thus duplicate content issue can arise. It needs to be fixed in a way that even you type with www or without www; site should always open with the address you have fixed for it. Suppose you have set as www.example.com then either you type in your browser with www or without www website will always open as www.example.com. This is also an important part of URL optimization because canonical issue is really bad as per SEO guidelines. 1. Try to choose small and memorable domain name. 2. In the past, domains based on keywords worked well such as com or buycheapphones.com (domains are just used for example) but after Google’s EMD (Exact Matched Domain) update, things gone changed and keyword domain lost its value. Thus the good practise is to use a brandable domain name which can be remembered easily. Even if you want to keep your domain on keyword base then use either LSI (Latest Semantic Indexing) words or put any one word from keywords. Don’t just make your keywords as domain. Now, you have your blog/website main domain URL ready and you need SEO friendly internal page URLs. When you are dealing with an e-commerce website then you should have categorized links such as /electronics/mobile-phones/nokia-asha because this makes sense for users and even its good from search engine’s view as they can index the links category wise. But when you are having a simple blog or information website then you should not have this kind of link structure. You might have seen many blogs have link structure like example.com/12/2014/page-name or example.com/gadgets/mobiles/nokia-asha. Both of the structures are fine but it’s better to replace them from these example.com/page-name or example.com/mobiles/nokia-asha. Why I am suggesting these? Because lesser URL depth is better for Search Engine point of view and even it makes URL shorter which is good and memorable. Longer URLs are not recommended. The above mentioned URLs are static URLs which are the best for SEO purpose. They are human edited but Dynamic URLs are created by web servers and they get generated at the run time. Dynamic URLs are not SEO friendly thus they should be rewritten in order to make them SEO and human friendly. Thus, always create Static URLs which are human readable and SEO friendly. I have mentioned that avoid using hyphens in domain name but when you have to write permalinks i.e. www.example.com/page-name then you should use hyphens to separate words rather than using underscore. www.example.com/buynokiaasha is not good as it doesn’t look readable. This is because Google considers hyphens to be word separators but have not yet programmed their search bots to consider underscores as word separators. (Source: Woorank blog). Thus, always use hyphens whenever it is indeed required for readability purpose but don’t overdo it. This is what I have to share about URL optimization so that you can get the maximum knowledge about it because if you are lacking in this area, you are missing a lot in your site’s SEO. I hope I am clear with what I have said in this post. Still if you find anything which looks to be unclear, please do ask your questions via comments and give me opportunity to respond to your queries. This was epic, We can say a complete guide to optimising the best URL structure. The title itself made me think if I am doing it right. URL structure is very useful, atleast when we are considering both human and bots for the post. Getting a good domain is the most important part of branding. would say its worthy to spend some time with domain name generators in order to get the right idea about domains. Just heard that Google is launching.HOW . I wonder who will use this many types of domains. I have the static version of URL structure as you mentioned and I think its great in terms of SEO and user ex. Thanks for coming and reading the post. Yes URL is one of important part of SEO and also making your URLs self explanatory is good for your readers as well. Yes, domain name generators are cool way to give you ideas to get your next domain. I am not aware about Google launching .how TLD. Thanks for the info. Keep coming to my blog. As always again very informative post on URL optimization. Choosing URL and Domain is one of the important factor one should consider while starting with blog. Btw can you tell, how one can resolve issue which is mention in first point? Shivkumar recently posted…How to login in Gmail when you donât have your phone to receive 2 step verification passwords? Thanks for coming by Shiv. Generally this canonical setting is done in server setting so you can use it to fix so that whenever you request your blog link either by typing www or without it, it always returns what you have set in your server setting. Also, check Site address and wordpress address by going to setting >> General (if you are using wordpress) and assure that same URL is mentioned in both options. If you still face any issue, just notify your web host and they will fix the issue in no time. Glad you liked the post Shiv. You have provided a very useful and detailed insight on URL optimization. URL optimization is very crucial SEO factor that search engines bots consider while ranking any post in SERPs. So it becomes quite necessary to optimize a search friendly URL including your primary keyword in the URL but at the same time if you do it smartly, you can also make it optimized for humans. Glad you read the post and shared your views over this topic. Yes URL optimization is indeed required not just for the sake of search engines but for humans also. Even, you yourself must not like longer URLs right? Short and simple URLs are great from every point of view. This is a great and well-explained URL optimization guide. I always focus on using short permalinks with the main keyword included. Short URLs look good and trustworthy both for readers and in search engines as well. Thanks for sharing this must-read post. Ankit Kumar Singla recently posted…How to Increase Affiliate Sales Without Increasing Your Traffic? Shorter URLs are the best for everything, for SEO, for readers and even you liked them too. Just I was contemplating with what you meant with respect to one sentences in your post; I was hit with this; ”Don’t get confused!”. So I had to take the sentence again! Hahaha! I got it later on. Thanks for sharing with us this insights. Glad that you now understood. Thanks for reading the post. Really awesome article . now i have resolved my blog address to www also in webmaster tools . Thanks for sharing. Good Mahmood. Make sure your blog is opening with only one address either with www or without www. While building links you should not focus only the home page rather you should build links for home and other internal pages as well. your post is very helpful to know about URL optimization. Domain is the most important part of URL.Thanks lot for your great post. Glad you liked the post. Domain name is important part of an URL as that you can select it only once. but you cannot miss other elements. search engines are preferred by their targeted audience. Thanks for coming by Manish and sharing your thought. I am agree to you.I can not miss other elements.So ,I am sorry! I am a new on SEO related stuffs..however, your article is full of brilliant ideas and tips. I really like to read it. Good to see you here gprbali. URL Optimization is important ting in SEO! Thanks for sharing Man! Thanks Vinoth. Keep visiting on my blog. You have really made by an article which covers everything about URLs. Learned new things on SEO friendly URLs. Thanks for sharing this awesome post with us. Thanks for reading the post ShihabudheenK. Glad you liked the post. You sure covered every thing about URL’s. I’m glad you did because I’ve been taking this for granted. I know the difference between dot com and stuff like that, but this gives me a whole new look at things. Not a techie by no means, but each time I visit you, I learn something new and valuable. This is especially great to know if someone is putting up a new site. So this post is a must share! You’ve come with an interesting topic with basic stuff that every blogger should know. Most of them would get confused to optimize the url in a perfect manner and yes, the exact urls with good domain name would bring a lot of visitors to a blog. I still remember the day you chose the domain name for me and I’ve done my best till today to my blog. I love my blog very much and thus I do care for every blog post url. Short urls matter a lot in driving organic traffic and stop words should be avoided in the urls. You’ve nicely explained the difference between the hyphen and underscore, hope it would help many newbies to avoid using urls with underscore. I can see your maturity level of seo and blogging in the post, do write such kind of posts for us by sharing your experience. Have a great rest of the week. Thanks for coming by Nirmala. Also thanks for your good words. Keep visiting. Thanks for sharing valuable information about url optimization. Expecting more SEO related post. Nachikethas recently posted…How to set up a paypal account? 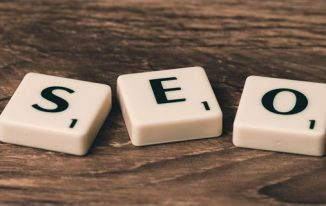 There are so many SEO posts already on this blog. You can check out by visiting the SEO category. And yes, I will be coming up with more posts soon. URL optimization is one of the most important factor of On page seo. The tips mentioned by you are really great to optimize the url structure. This post is going to be very helpful for newbies as well as experienced bloggers. Atish you have very nice explained many things related to url optimization. I have always seen that your blog posts links mostly contain less number of words. Definitely a lot to learn from you. I hope that you’ll soon write a post about explaining some unknown SEO strategies. Glad to see you here. Keep visiting and sharing your thought as well. This is an incredible and decently clarified URL streamlining aide. I generally concentrate on utilizing short permalinks with the primary decisive word included. Short URL s look great and dependable both for perusers and in Internet searchers also. Much obliged concerning imparting this must-read post. steven / essay writing recently posted…এসইও সম্পর্কে নতুনদের হরহামেশাই করে থাকা কিছু অতি কমন কিন্তু অত্যন্ত গুরুত্বপূর্ণ প্রশ্ন এবং তার উত্তর! আপনিও যদি এসইও শিখতে আগ্রহী হয়ে থাকেন তাহলে এটা দেখতেই হবে! Glad that you liked the post. Short urls indeed look great. I believe shorter URLs are quite effective when it comes to Search Engine Optimization. Not your URL should be effective but your domain name also. You have explained small small things regarding URL optimization very effectively. I will definitely try the hyphen thing instead of under score. Yes, Domain and permalink both should be short, precise and self explanatory! Thanks for your comment Ady. Very educative post. Great article. I have learned a lot from you. I actually love using only page-name url so as to make my url look readable, short and seo friendly. Thanks for the great article. Yes, URLs should be readable. Good point Emma. you can take out of unnecessary words from it. Thanks for stopping by. Great guide on URL optimization, Atish! (included a bad URL optimization). I am glad that you liked the post. Everyone does mistakes in early days of blogging due to less awareness which is natural so don’t regret about that. Happy that you are doing great now. Keep visiting to my blog! Permanent Link setting always helps me to drive better results rather than setting url’s to temporary ones.. nice article atish bro.. Thanks for sharing your views Sneha. Thanks for the in-depth post on URL-Optimization, there are very guides on how to optimize URLs of blogs and as for me there has always been a confusion on the permalink structure. And today all my doubts were cleared. Glad to see you here Imran. Thanks for your comment. This is an important post that newbies and experts alike must consider. URL structure and optimization is often ignored but they readily contribute to the traffic and success of a site or blog. I guess newbies would understand what it takes and how it works to optimize urls for humans and search engines after going through this post. Its very helpful! I shared this comment in kingged.com where I read this post! Thank you so much for your visit Sunday. It always required to have short, simple and clean URLs as they are good for both human and search engines! Thanks for sharing your comment Mahabub! That’s a really useful post thanks. Some of it I already knew having learned the hard way – but that was plenty of information and advice that was new to me, so really appreciate it. Thank you so much for showing your presence here. 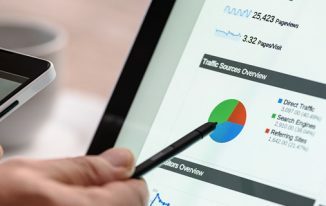 Yes, Sr. bloggers like you do know these stuff already but newbies can learn about URL optimization by reading this post. Great post on URLs for better SEO man! I really enjoyed reading this and learned some new stuff! I didn’t know enough about the canonical issue, now I do! Thanks for sharing this knowledge here man! FreedomBlogger recently posted…What is a Capture Page, and How Does it Work Online? It would be great if you share your real name. Glad you liked the post. Hey mate, can you tell some quick advice to fix the site about www. and without http://www.? There’s preference to set in google webmaster whether we want our site using www or not, is it as simple like that or i need to go technical and configure something? Thanks for your reply. 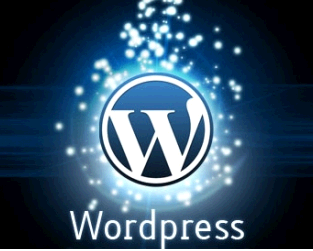 Check in your wordpress blog in setting >> General.. that both the website addresses are same? Replace example.com with your site address. If still there is problem then simply email to your web hosting. Okay, thanks for your quick reply. Definitely gonna try that. Thanks for stopping by John. yes URL plays an important role in your sites SEO. 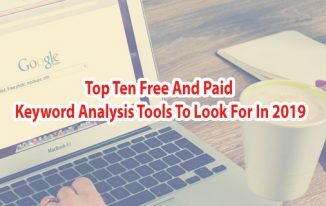 Really awesome post bro, I just enjoyed whole article, permalink is most important term of seo and we must use it carefully, short permalink is very simple method to improve Search engine ranking. I always prefer to use short url for my blog post with targeted keywords, and glad to know more about url optimization. I am so glad that you liked the post Mahadev. Welcome to my blog bro. Keep visiting. URL should be optimized. This is a wonderful guide on URL optimization. It is an essential part of SEO. This seems a detailed guide for newbies. They will understand the process of URL optimization very well after reading here. Thank you Nisha for reading my post and sharing your thought via comment. Keep coming to my blog. I think we should use keywords in URLs which could help our blog to get optimized more rapidly. Is it true that On page SEO optimization also depends on length of URLs? Keep the URL length short and simple. Yes using keywords in URL has its own benefit but do it naturally. It should not look spammy. You are very helpful. Keep sharing such articles with us. It is very beautiful post Atish. We all know that the URLs we use really matters a lot for Search Engines as well for the users also. It is logically good to have smart URL, Meaning: Using small and meaningful URLs. We must always try to categorize our post in such a manner that people can easily scroll our in a very pleasant manner. Really thanks for sharing such valuable suggestions Atish, waiting for your next post! I am glad that you liked the post. Keep coming here! Wonderful and an excellent post on SEO, URL Optimization. Thanks a lot for sharing this timely piece. i am subscribed again, hope i will not miss any future posts. Thanks for coming by and reading. Thanks for subscribing and I hope you are getting newsletters on time from this blog. isn’t it? Glad you are here reading my blog posts. Thanks Carl. Sure you will get more articles of this kind. Stay tuned! Atish Ranjan@ In-depth and comprehensive tutorial for optimizing URLs. Short URL structure with proper keywords added is way better than Long URL structure because Google indexes only first few words and ignores the rest. Yes, URL length should be limited as well. It should not be too long. Hello Atish Ranjan, I Got lot from this post, i am new in wordpress, but these tips are really Awesome for me. Specially canonical link is impressing, because www and non www were problem in my site. Great to know that you have got something form this blog post. This is a complet guide for URL structure and domain choosing. Url have a direct impact on search engines understanding of the sturcture of the website. And, also, humain needs to a well-stractured urls to know were are they if they are on the website and to click if they are on SERPs. Please write you real name while commenting. Good post Atish. URL optimization is always useful for seo. Very informative and detailed post to optimize URLs. Each and every points are in detailed. I learned a lot of things from your post and permalinks are very important in optimization. Thanks for sharing. Thanks for stopping by Naved. Glad you liked the post. I think there is nothing more to explain about the URL’s than this 🙂 Great research.! AWesome presentation. 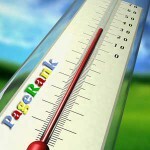 Permalinks plays a vital role in SEO. yup ! I am glad you liked the post Allan. URL structure plays an important role in blogging arena. A perfect configured URL has many fold benefits. It tends to generate more traffic from SEO , easy to share and looks elegant. I just found your article and it was well worth the read. You really explained url structure completely. I hope to read more posts from you. Thanks for coming by Janet. I found your article very useful because it explained everything about url structure. Atish sir, i am happy that once again i am here on your site and reading this lovely article here. Well, saying true i know all this thing you mentioned here but still i like the way you are sharing important information with us. Thanks for doing this job for us brother.. Thank you for the good words Akhil. Keep visiting. your URL Optimization article is really good and informative. URL Optimization is most most impotent for SEO. this article is really helpful for us. Thanks atis for this informative article . Btw can you tell, how one can resolve issue which is mention in first point?I always focus on using short permalinks with the main keyword included. I have already gave the solution in the comments. Please check carefully Sneha. Thank you for stopping by. This article is very good i use Yoast SEO for my wordpress blog but this had helped to understand what is the use of permalinks and how to optimize my blog..
Well really this is very good post and I learned very good things from here. Best part is that you have explained it from scratch. Thank you for sharing this post. I am going to use these techniques. Thank You for this tutorial and well written post atish. Definitely URL optimization is important tool you can you have to do. Plays an important part in building the clean structure.